The Tittle Boxing Club in West Loop Chicago is one of the best reviewed boxing gyms in all of Chicago. 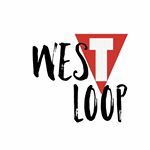 Graham Goy is the owner of the West Loop franchise location. Graham opened TITLE Boxing Club Chicago West Loop in August 2014 where it opened his eyes to the world of boxing and fitness. Graham transferred careers from the finance world to the fitness world, where he has a newfound passion in his job and loves helping others find their passion in themselves. There are currently nine professional boxing trainers at this gym. They all have deep experience in training people for fitness, using boxing as the medium.